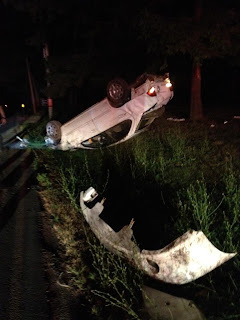 Firefighters were called out at 10:17 PM on Sunday night for a car accident down the street from Penfield Station 3 located at 2510 Penfield Rd. The driver of a vehicle lost control striking a telephone pole breaking it at the base. The driver was taken to the hospital with non life threatening injuries.